Back to the beach from yesterday’s snowflakes post! Supplies: Stamps – Newton’s Nook, paper – Gmund Royal, Neenah Classic Crest Solar White, Stampin’ Up! 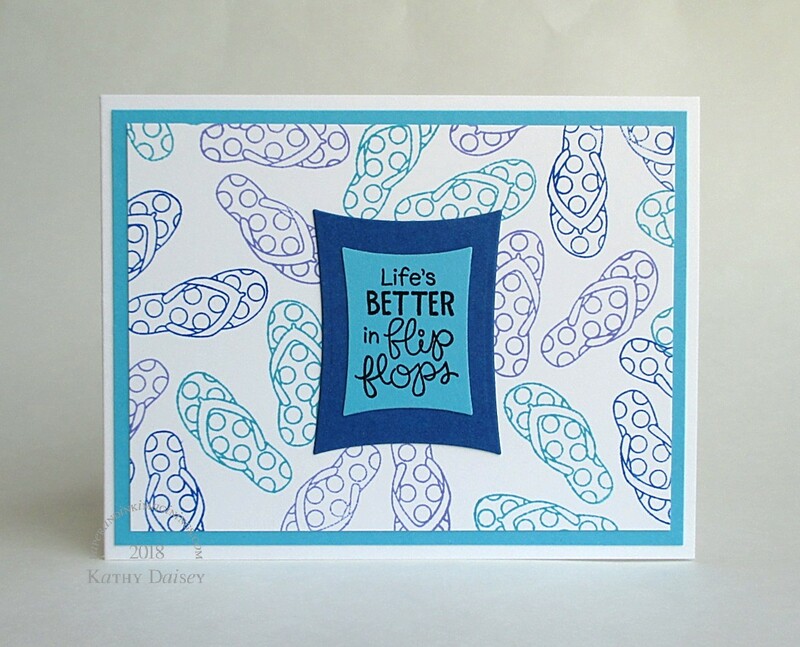 Tempting Turquoise (retired), inks – Stampin’ Up! Brilliant Blue (retired), Lovely Lilac (retired), Tempting Turquoise (retired), VersaFine Onyx Black, dies – Spellbinders, embossing powder – Stampendous Detail clear. Categories: card, caring, encouragement | Tags: card, Neenah, Newton's Nook, Spellbinders, Stampendous, Stampin' Up!, Tsukineko, VersaFine | Permalink. Yes it is, but with all the leaves that are falling I think mine are going to be confined to the house very soon. Such a cute card Kathy. Thank you, Robbye! Your leaves are falling? Ours are not. Still at least 6 weeks of flip flop weather here!